6. Why Won't They Talk To Me? Soundtechnisch klingen die zweiten Alben sowohl von LADYHAWKE wie auch Gypsy & The Cat alle ähnlich - und auch LONERISM macht da keine Ausnahme: das ist irgendwie eine Mischung aus Psychedelic / Rock / Pop mit viel Nebel und John Lennon an Bord. 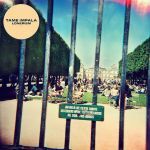 <br><br>Und auch die Songs aus LONERISM liegen auf diesem Level - ein besonders hervorstechender Song findet sich nicht - alles gleichmäßig angebraten und gewürzt - Feinschmecker suchen woanders.<br><br>Was geht da ab in Australien? It's no Innerspeaker, but wow the production on this is stunning! Hard to pick a favourite outside of the singles just yet, may have to wait on that. Glad to see it picking up the accolades it deserves. After the phenomenal success of "Innerspeaker", Tame Impala had a massive level of expectation with a follow up. This was made more critical as they had since achieved worldwide notoriety, and were no longer another one of Australia's hidden secrets. After listening to both albums several times, I can safely say that Lonerism not only satisfies as a follow up, but outdoes its predecessor!<br><br>Much like "Innerspeaker", there's a theme of isolation present on the album. Interestingly, with the songs "Apocalypse Dreams" & "Elephant", this is the first time that Kevin Parker has shared writing credit on any of their releases. <br><br>"Lonerism" I think is more adventurous than "Innerspeaker". The latter tended to blend in the same sound a bit, but "Lonerism" explores further territory with its soundscape. The production quality is stepped up, and now finds more of the hooks in the music rather than the lyrics. This could be a problem because a quick scan of "Innerspeaker"'s tracklisting quickly reveals to me which song is which, whereas for "Lonerism", it's not as immediately obvious. On the other hand, once I do listen to them, it becomes immediately obvious (eg the opening riff on "Endors moi".<br><br>I'm loving how much international praise they're getting for this album and just hope they can keep it up because this album is great! Die Jungs tauchen in den Jahresbestsellerlisten 2012 auf, deswegen habe ich mir die Songs auf spotify angehört.<br>Hier werden sie nurn von meinem Freund miraculi und zwei Australiern bewertet.<br>Die Stimme klingt in der Tat nach John Lennon. Der Psychedelic Sound ist angenehm, angenehm anders als das, was ich sonst hören. I think I enjoy this more than Innerspeaker, but I've certainly developed more of an appreciation for their kind of music in between those albums so that likely helps with that choice too. So much of what they do reminds me of The Beatles and that can't be a bad thing. I thought I would like this more, since I like Currents quite a bit, but I think i'll stick to Currents, which has a more refined and exciting sound. This sort of meanders for me I reckon.